First of all, Happy New Year to everyone! Ofcourse we are all very curious to find out what Apple has in store for us this year. We are wondering what the next iPhone will look like? Will the iPod touch finally get a camera? And will Apple launch the iTablet? We will all find out this year “2010”. But first we will celebrate this new year with a nice collection of new year “firework” wallpapers for your iPhone. So check out this list below that contains 17 beautiful new year wallpapers. I said in my previous wallpaper post that i would create a second list of christmas wallpapers, so today we have collected 40 iPhone / iPod Touch Christmas Wallpapers. To save the wallpapers: Right click the wallpaper you like and click Save as. Or on your iPhone hold your finger on the wallpaper you want and click Save Image. Enjoy using these wallpapers in your holidays. You may also like 20 iPhone christmas Wallpapers. Today we have collected 20 iPhone / iPod Touch Christmas Wallpapers. To save the wallpapers: Right click the wallpaper you like and click Save as. Or on your iPhone hold your finger on the wallpaper you want and click Save Image. A second christmas wallpaper list will come when christmas is arriving. Enjoy using these wallpapers till then. You may also like 25 iPhone Wallpapers: Apple Logos. Today iPhoneFreakz has collected another 25 iPhone / iPod Touch Wallpapers. 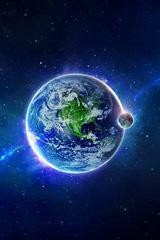 This time we have collected 25 space scene designs you can download for your iPhone. To save the wallpapers: Right click the wallpaper you like and click Save as. Or on your iPhone hold your finger on the wallpaper you want and click Save Image. We are planning to create a wallpaper collection more often. Enjoy using these wallpapers. You may also like 25 iPhone Wallpapers: Apple Logos. Today iPhoneFreakz has collected 25 iPhone / iPod Touch Wallpapers. This time we have collected 25 apple logo designs you can download for your iPhone. To save the wallpapers: Right click the wallpaper you like and click Save as. We are planning to create a wallpaper collection more often. Enjoy using these wallpapers. Are you searching for ringtones and/or wallpapers, search no longer. We have the perfect link for you. Ringostation has over 750.000 ringtones and more than 10.000 wallpapers ready to be downloaded to your iPhone. This is the most complete ringtone and wallpaper database you can find on the web.